The Crusaders will be playing for the Christchurch "community" when they return to Super Rugby action against the Waratahs on Saturday. 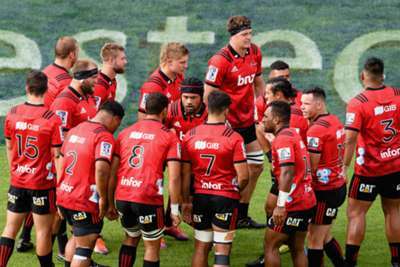 For the first time since the mass shooting that killed 50 people in Christchurch last week the Crusaders will take to the field, after their match with the Highlanders was postponed. This weekend's encounter at Sydney Cricket Ground will also see both sides unite for a minute's silence prior to kick-off. "This tragedy has rocked our community and we really feel for all those affected by the events of last Friday in Christchurch," said head coach Scott Robertson. "Our hearts go out to people across our city, our region, and our country who are grieving right now and we're grateful for the opportunity to pay our respects before the game. "We'll certainly be playing for our community on Saturday night." The Crusaders have confirmed they will discuss changing their name following the attacks, but stressed the name is a reflection of the "crusading spirit of this community" rather than a religious statement.